Heavenly Father, I pray for those who are battling or suffering from anxiety...or may in the future. ...abide in Your Word so we know and are growing in Your truth. ...insert Your truth where any anxious thought comes to mind. ...not worry about the basic provision, food, clothing, shelter, etc as You have all these things covered. ...remember that You even provide for the birds so again, You will provide for us. ...remember that You even clothe flowers in the field....You will provide all the more for us because You love us! ...remember that we can't add even a day to our lives...only You can! ...not worry about anything and instead put our hope, trust, confidence and faith you. 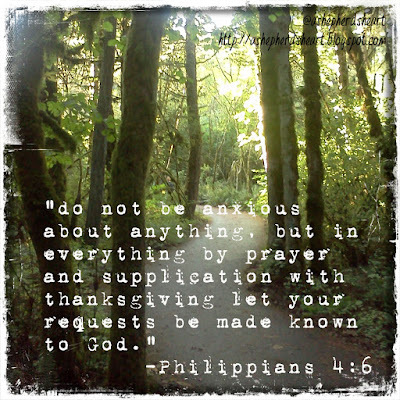 ...not worry about anything but instead, pray. ...remember our battle is also often a spiritual one. ...armor up...pray on Your full armor to fight the spiritual battle. ...be grateful for what we have so we don't feed ungratefulness for what we don't which in turn can cause anxiety. ...be thankful in all things. ...to have joy even amidst sadness. ...seek You immediately when people hurt us and cause us to become anxious. ...not dwell on things that we know will cause us to withdraw, become anxious, sad, lonely or experience further pain. ...be thankful for Your grace and love. ...be there for others who are having anxiety issues....helping encourage them and also point them to You! In the midst of fear, please give us Your peace. When we feel alone, please surround us with your presence helping us to remember we're never alone because You're with us always. Please give us an extra portion of Your strength during these times. Please help us make it through each day with Your Holy Spirit's help. 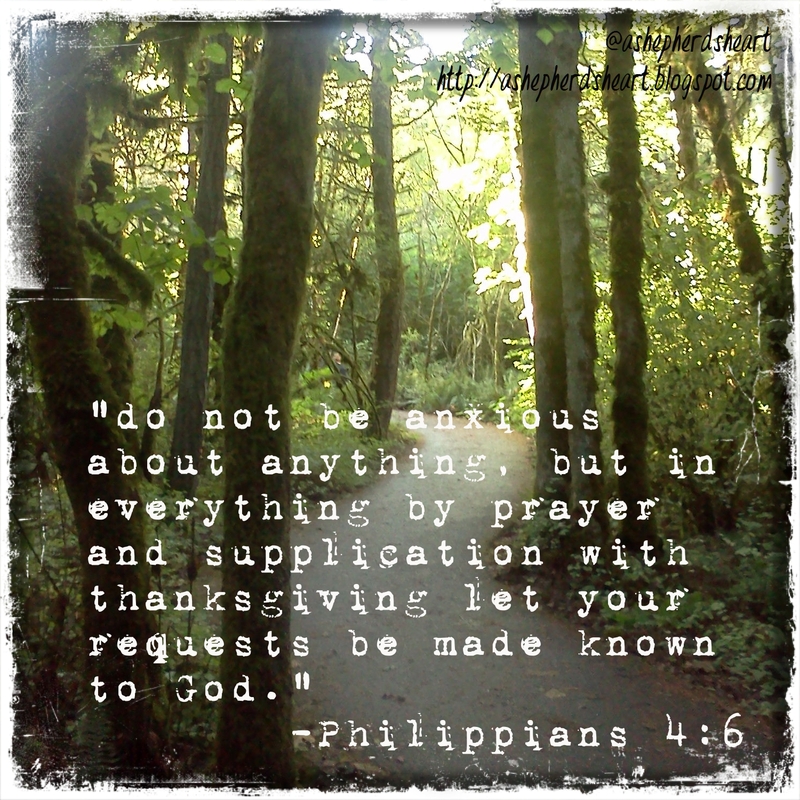 "Being anxious doesn't do anything for you but having faith in God, abiding in His Word and constant prayer does!" Again, just what I needed to hear today. Thank you for sharing this. God bless!